In addition to the federal estate tax of 40 percent, some states impose an additional estate or inheritance tax. Fourteen states and the District of Columbia impose an estate tax while six states have an inheritance tax. Maryland and New Jersey have both. Washington state’s 20 percent rate is the highest estate tax rate in the nation; ten states and DC are next with a top rate of 16 percent. Delaware and Hawaii both have the highest exemption threshold, which, at $5.49 million matches the federal exemption level. 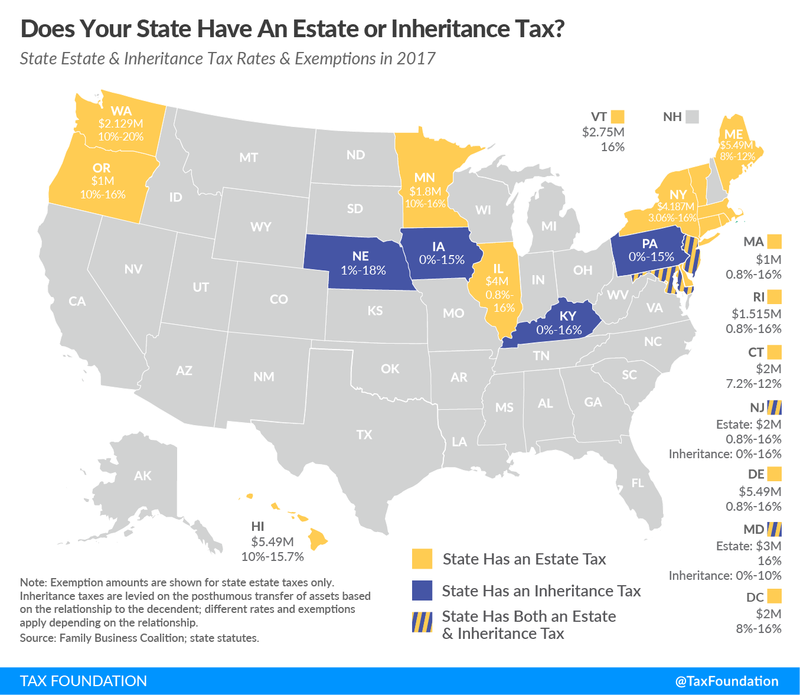 Of the six states with inheritance taxes, Kentucky and New Jersey have the highest top rates at 16 percent. 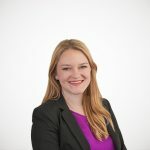 Maryland imposes the lowest top rate at 10 percent. All six states exempt spouses, and some fully or partially exempt immediate relatives. Recently, states have moved away from these taxes or raised the exemption levels. Indiana repealed its inheritance tax in 2013. Tennessee repealed its estate tax in 2016. New York raised its exemption level to $5.25 million this year and will match the federal exemption level by 2019. The District of Columbia is set to conform to the federal level this year after meeting its revenue triggers. New Jersey will fully phase out its estate tax by 2018. Estate and inheritance taxes have large compliance costs for states, and they may become costlier if the estate tax is eliminated at the federal level as proposed in both the House GOP Blueprint and President Trump’s tax plan. This would leave states with the full administrative burden of the estate tax instead of being able to rely on administration from the Internal Revenue Service. Estate and inheritance taxes are burdensome taxes that disincentivize business investment. The handful of states that still impose them should consider eliminating them, or at least conforming to federal exemption levels.